The communication needs of skilled nursing and long term care facilities are unique to the individual environment, demanding a flexible nurse call solution that is adaptable to the specific facility. 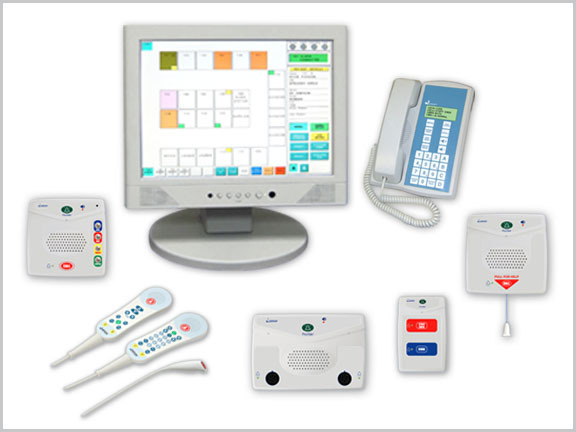 Provider® 680 Nurse Call systems offer the tools that caregivers need to deliver high quality care while protecting the safety of residents and patients while maintaining their independence. With the Jeron Provider 680 Nurse Call System you can address facility-wide staff and patient communication needs today and in the future. The nurse call system can improve patient care and staff satisfaction while also minimizing installation and maintenance costs. Direct alarm monitoring inputs, including bed exit, I.V. 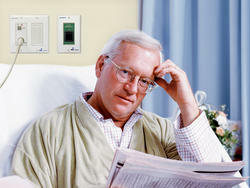 pump and ventilator directly to the assigned caregiver’s wireless device; no more wasted time “searching” to find an alarm. HOW COULD A NURSE CALL SYSTEM FREE UP YOUR NURSES? Schedule your demo and let us walk you through the features and benefits!